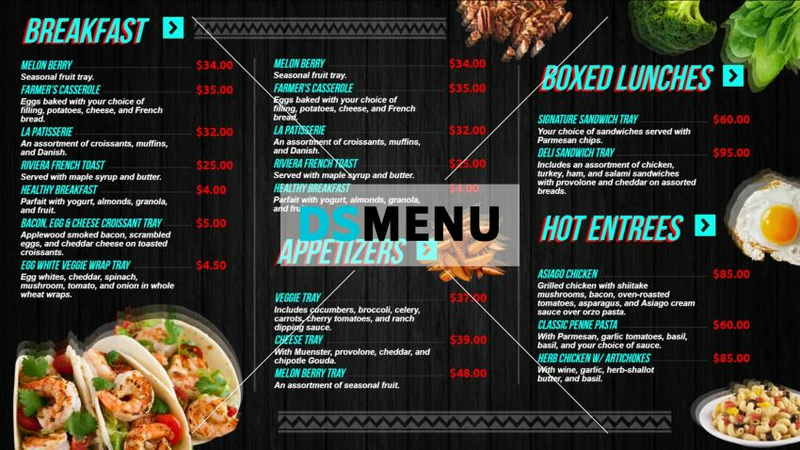 This restaurant menu board is a trendy and sophisticated one. The colors in blue , white and red are complimented brilliantly by the black color background. The menu is eclectic with the full spread of appetizers entrees et al. On a digital signage menu board the impact will certainly bring in the crowds.